Today I’m delighted to welcome Philippa Rees to Virtual Book Club, a series in which I put questions to authors. If you get to the end and there’s anything else you’d like to know, please feel free to post your questions. Philippa was born in South Africa and fatherless and by the age of two, experienced the wildest of rural Africa in the care of her grandfather, on safari for weeks inspecting African schools. Otherwise she was imprisoned in boarding schools for a ‘British’ education. She has lived on deserted islands in the Indian Ocean; at the Max Planck Institute in Bavaria; lectured to mature Bristol University students; designed and built her own home, an arts centre and concert hall and raised four daughters. 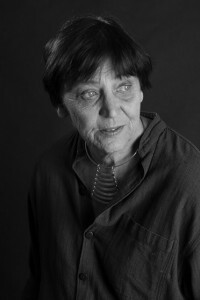 Her published works include Involution: An Odyssey Reconciling Science to God and A Shadow in Yucatan , a poetic evocation of the sixties in the Southern United States; winning short stories in Narrative Magazine and poetry in the ezine, The Recusant. She lives in Somerset in her converted barns with a long-suffering husband. Q: You generally write in the genre of narrative ‘symphonic prose’. If you were trying to describe your writing to someone who hasn’t read anything by you before, or is unfamiliar with the genre, what would you say? The slightly pretentious sounding description was suggested by an advisor, helping to define an indefinable work. First he wanted to grasp and convey a multilayered book that resonates on emotional, factual and historical levels across science, art and philosophy. Then he also hoped to cut through the prejudice that puts up a firewall the moment poetic prose, or narrative epic is mentioned. Yet it is not ‘market-speak’ but a perfect description, particularly of Involution-An Odyssey Reconciling Science to God. At first glance it might look like a chronological history of Western science but that is simply the construction of a scaffold by which to climb the imaginative cathedral of consciousness. So it begins with themes: simple organisms and simple interactions which are then incorporated and woven into more complex organisms with harmonic relationships to others, of increasing ‘depth’. Writing this impressionistically in images draws in more and more instrumentation. Each has its timbre and range and all combine to create the symphony of the created world. Since the Journey of the book is through Involution- the encoding of allusive memory it was both apt and accurately descriptive.. But it is essentially also true of A Shadow in Yucatan which tells a simple story set in the Southern States in the sixties. By using impressionistic images and the spoken word it evokes an atmospheric richness beyond the story, although the story of optimism and loss for the character is also reflective of the age, almost mythically. It is simple but densely evocative of mood; hope, euphoria. Initially because this way of writing is unfamiliar, it looks difficult (the threat of the short line) but it reads just like ordinary prose, without grammatical formalities or dialogue handles, so it is very impressionistic but at the same time vivid and punchy. sniffing dust rising from the stoop, scoop-rolled sacking of harvest. but olive oil still to be pumped, safe for the afternoon. The groom of autumn leads on to the half ounce paprika, two green peppers, half-a-pound tea. If they ask for salami he wraps the weight of bells in Bologna. Pasta he sells with regret. It is so much better fresh. I find it hard to read anything when I am actually in the creative phase of writing. Everything bends the ear. I think that may be because what I write is rhythmical and I have to let it flow. What I love most about language is this symmetry between what is being described and the words that convey it, not merely convey but echo its movement. If I try and read something else it is like blocking a stream, because every author has their own kind of flow. Q There’s a rather glib saying: “All fiction is biography and all biography is fiction”. Do you agree? I think in the deepest sense all writing is biography, because the vocabulary of the author’s life shapes the language, the images, the values that are conveyed through their characters, and possibly even the kinds of predicaments they encounter. Even fantasy uses familiar ingredients. I do also think it is only after the first novel or perhaps even the initial autobiography, that an author is freer to create fictional characters, and they might have familiar elements but the more fictional they are the ‘truer’ they are. 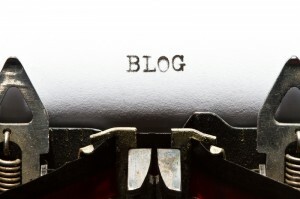 The problem with writing about what you know too well, is that it constricts. You have first to offload yourself. The greatest pleasure is to give breath to characters who then boss you about and refuse to take up any postures, or make any friends unless they choose to. I suppose the leitmotiv of everything I write, and it is never planned but raises its head inevitably, is the loneliness of the unorthodox, the eccentric, and quite often the harshly judged. Perhaps that merely reflects a life spent very much alone, and because I am drawn to solitaries in life. The stoic, the silent, all attract. It’s a kind of monastic taste I suppose. Q John Irving says that you can’t teach writing. You can only recognise what’s good and say ‘keep doing that.’ Do you think that’s true? I have wondered. I have attended many courses, and retreats but I cannot say they taught me to write as such. Certainly not the cadences I find instinctive. They sometimes offered useful ways to consider things, and sometimes the odd liberating exercise, but the only writing I have done that I can approve when it is finished has been incubated rather than practised or perfected. I know this is a dangerous thing to say but the emphasis on editing, cutting, and re-drafting might produce a more polished script, but often it loses the freshness of its first spilling impulse. I like to see the craftsman’s hand in a pot or plastered wall, I feel a bit like that about writing, not to the point of clumsiness or the obvious, but the occasional image or misshapen word pleases me. I get closer to the creator. However this is one area in which a sensitive editor is essential. It is not something a writer can easily judge. I am told I assume too much from my reader, in making intuitive connections, and discerning who is speaking by the use of distinctive speech, rather than handles. Sometimes I think it can be unimportant who exactly said what, provided the dialogue is compelling. If you overhear a conversation in a café, you will remember what was said, but not necessarily which person said what. I am frequently torn between what I know I should do and what I would rather do instead. My greatest impediment, as a writer, is fearing to bore, or underestimate a reader. I have been recently reading Susan Howatch’s Starbridge series, and totally absorbed by how many of the ‘modern’ injunctions she breaks; her books have little plot but mighty tension, little sensory detail but fascinating psychological stripping down, few obvious ‘hooks’ but page turning urgency. It can be done by a master in any way at all. With her it is character all the way, complex, variable and often self deluded until exposed. They are often far from likeable but invariably interesting. Q: Do any of your books have dedications? If so, to whom and (if appropriate) why? For me these are related questions. I dedicated A Shadow in Yucatan to Sophie Wilkins, who I never met. She was the most generous editor who worked at Alfred Knopf and she read and annotated every lumbering manuscript I wrote over a period of about ten years. ‘Your scripts balance badly on the belly, Philippa’ she once said! She would write ten pages of acute commentary by hand. She was very firm in telling me not to publish early work, and said things like ‘when you are the writer you will be you will regret anything that is not your best’. She was also editor for John Updike, William Burroughs and she was the prize winning translator of Robert Musil’s The Man without Qualities In that sense she first gave me some self belief. Not that I realised how very significant she was until years later, when I was invited to her memorial in New York and such people wrote the tributes! Only in the last year have my short stories been finalists in Narrative Magazine’s competitions, and short listed for the Rubery prize (2014) so you could say it has been a long time coming. I am pretty near the exit. One thing that may surprise readers is that winning prizes, however good it sounds do not sell books. 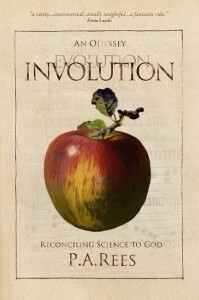 Involution was nominated runner up Book of the Year (2013) by the Scientific and Medical Network but I am not sure that it has helped – probably makes it sound worthy and ‘obligatory’ and people run for cover! Yet it is quite light-hearted and many agree very easy to read. A ‘packaging problem’ of non-fiction perhaps? Q: Man Booker prize-winner Richard Flanagan said that The Narrow Road to the Deep North was the book he couldn’t avoid writing. Have you ever felt that way about a book? Yes. I gave a description in the Alli Newsletter of the background to Yucatan. 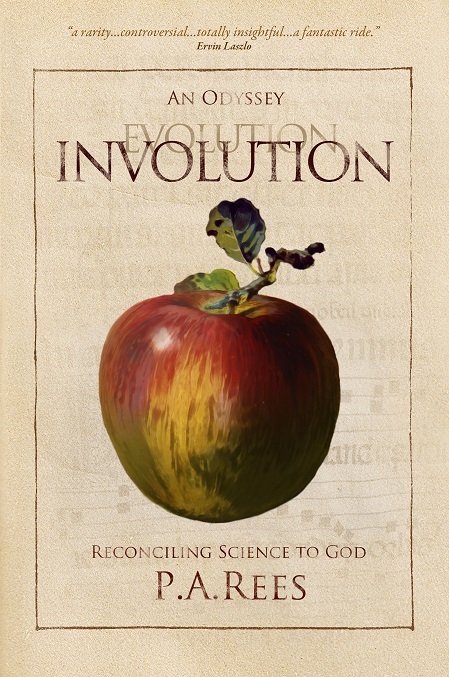 Involution must have had the longest gestation of any book (Forty-five years!). I had to offload the demands of it. Yet since publishing I have had a problem finding anything really worth doing. Somehow failing to find readers for what I still believe is a significant contribution to science, makes writing diverting stories feel almost trivial, yet I know that ultimately only readers matter, and its not for me to suggest what they should choose. I am not sure the ‘imperative’ book does one any favours, unless it is a kind of block buster confessional like Eat Pray Love, which took the author by surprise. That also seemed to have emerged from a search for understanding; my problem was my search was for an understanding of everything! I am very averse to over-planning because invariably when characters take the reins they go in completely unforeseen directions, and that’s what I find thrilling. They are much more alive than most people I know in so-called ‘real’ life. That is an aspect that has significantly contributed to Involution – the recognition that imagination ( fertilised by memory) is more integrated and ‘real’ than the things to which we normally give prominence, and has a direction and creative imperative of its own. We, as writers, are almost puppets strung by the power of imagination. I feel books get written through us, so I am on the same side as Hosseini. My characters call out supporting ones, by their own needs to be confronted or revealed. That’s why I have put Involution on trial in my blog, to force it to answer for itself. It certainly has been an unforgiving master! Q: Was it your intention to write a story with a message or a moral? I think moralising, or setting out to do so, is usually destructive of any good book. Involution presents a new theory, and if it was accepted it would impose the moral imperative to be aware of the consequences not only of actions but of thought itself. But that is a secondary corollary to the thesis it suggests. George Eliot’s works contains deep morals, but they emerge from what happens to her rich characters. It is her love and sympathy for them, that spins the morals. The only time I gave free rein to a descriptive passage was the birth scene in Yucatan because I feel that men ( and childless women) know all about the externals of giving birth, but not that searing internal journey in which the safe delivery of your child demands a willingness to be prepared to die. That sounds melodramatic but it is true: You are dragooned by your body towards that ultimate sacrifice, which explains so much about the mother-child relationship forever. Easy. Selling. I have tried but I have no aptitude for it. Deep down I am undermined by knowing that only readers can sell a book, not writers. It always feels egotistical, and presumptuous. I am very happy talking about the books face to face, or reading, but only in response to declared or obvious interest. My dislike of everything to do with marketing blights my every day. I cannot contrive lists or ‘how to’s’ to engender a ‘tribe’. I have nothing but what I write to offer. Q Do you review other books and what would you say makes for the ideal review? I do review when I feel genuinely enthusiastic and can use that enthusiasm to write creatively about another book. I tend to review indie authors simply because they need it so much more. I always buy the book and never accept a request because any obligation kills the gift ( and the desire). It is the one way I can ‘pay forward’ and the pleasure it gives to gift a review unexpectedly rewards both ways. I feel that the sort of review that causes a reader to go out and buy the book has to communicate as much about the reviewer’s response as the book itself, just as talking to a friend does. I really recoil from the pedantic ‘exposition’ review because I want to discover and identify for myself. I have pretty eclectic tastes, but imaginative writing peppered with the occasional chilli image, interesting characters and revealing dialogue rank pretty high. Plot driven books without those, don’t interest me. All my reviews are posted where they’ll most help the author though they are also on my philipparees.website. Q Are you an Evangelist for any book? Yes. The Discovery of Heaven by Harry Mulish- seemingly almost unknown, and yet I think the modern Tolstoyan novel with the most engaging plot and characters, as well as a philosophic commentary on the issues of the two wars, and what they changed. I only mention it to people I really think deserve it, and have probably gifted about twelve copies. My short stories published by Narrative can be read here and here. I’m on Facebook and on Twitter and you can read my Amazon author page here. 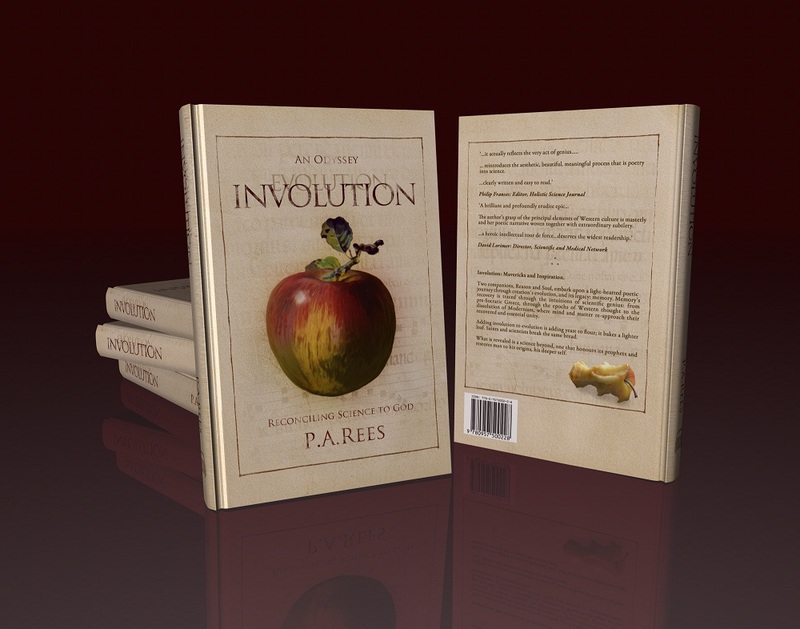 Involution ( 97809575002-1-1) is available at all outlets for ebooks and for print through both Amazons and is stocked at some bookshops because it is distributed through Bertrams. This was a challenging interview I really enjoyed thinking through. Thank you to Jane for inviting it and the care taken with this posting.